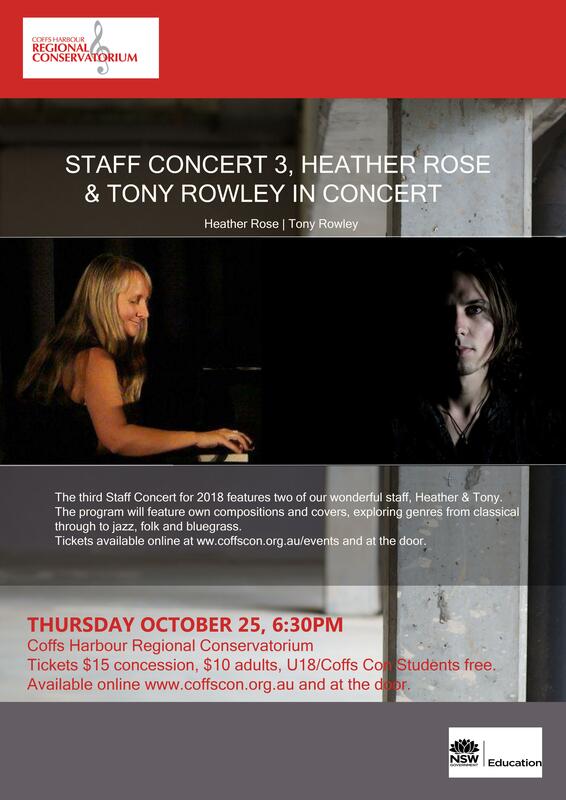 The third Staff Concert for 2018 features two of our wonderful teachers, Heather Rose & Tony Rowley. The program will feature own compositions and covers, exploring genres from classical through to jazz, folk and bluegrass. Ticket prices are $15/10/U18 & Coffs Con students free.